Discover the intriguing work of Indian artist Nasreen Mohamedi (1937–1990). Born in Karachi and raised in Mumbai, Mohamedi is now considered to be one of the most significant artists within the modernist tradition, with her work receiving great critical acclaim internationally in recent years. Nasreen Mohamedi is the largest solo show of her work in the UK to date, giving many visitors their first encounter with her varied practice which includes painting, drawing and photography. Featuring more than 50 of her works, Nasreen Mohamedi runs in parallel with Mondrian and his Studios, and charts the evolution of Mohamedi’s work, exploring how she, like Mondrian, moved away from a figurative style and developed her own unique approach to abstraction. 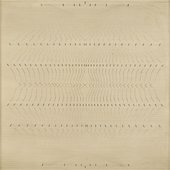 This exhibition highlights significant phases in the artist’s practice; from semi-abstract lyrical paintings of the 1960s, to her intricate engagement and subversion of the modernist grid throughout the 1970s, and detailed drawings of suspended diagonal lines, triangles and spheres in the 1980s. The latter recall the utopian designs of constructivist artists such as Kazimir Malevich, who she greatly admired. A further highlight will be Mohamedi’s personal photographic practice through which she maintained a visual record of her experiences, capturing images of desert landscapes, seascapes, modern structures, and the Islamic architecture of Fatehpur Sikri. After studying art at Central Saint Martin's in London (1954–7) Mohamedi worked in Europe before returning to India in the early 1970s, to become a teacher in the Faculty of Fine Arts, MS University, Baroda. It was here that she worked alongside many notable artists and began to develop her abstraction, producing small-scale, geometric drawings, painstakingly composed on an architects’ table using pencil and pen. Virtually alone amongst her peers, Mohamedi broke away from the mainstream practice of figurative painting in post-Independence India. Her emphasis on minimal linear gestures to create infinite imaginary landscapes and structures exemplifies her desire to, as she wrote in her diaries, obtain ‘the maximum of the minimum’. Despite comparisons to American artists such as Agnes Martin and Carl Andre, Mohamedi’s work defies easy categorisation and was the product of her distinctive personality, process, and aesthetic values. Nasreen Mohamedi reveals the artist’s significant contribution to modernism that expands the boundaries of Western art history and offers an opportunity to reconsider the meaning of abstract art. Tickets for Mondrian and his Studios include admission into Nasreen Mohamedi. This dual programme means that both established fans and visitors new to the field of abstract art can discover exciting links between these two influential artists.